Sticking to your home budget when renovating or extending your home often means making compromises. Of course, the budget will dictate how you prioritise your spending, and most of us won’t be able to stretch to everything on the wishlist, but there are a few items that tend to get taken out because of budget limits. I’ve put together a list of some things, which although they have an upfront cost, some will save you money. Others will save you space and most of them will make your life a whole lot easier. Electrically operated blinds are something that most people don’t even consider because of cost, but in some instances, they are a fantastic solution and well worth the additional spend. They are not something you need throughout your home, but there are two areas where the benefits are worth the additional cost. The first is where you have large floor to ceiling glazing, for example onto a garden from a kitchen dining or living space. The reason is that you will avoid the need for chains or cords hanging at intervals and disrupting the view. The second area where it’s worth considering installing them is for velux style roof windows that are hard to reach. 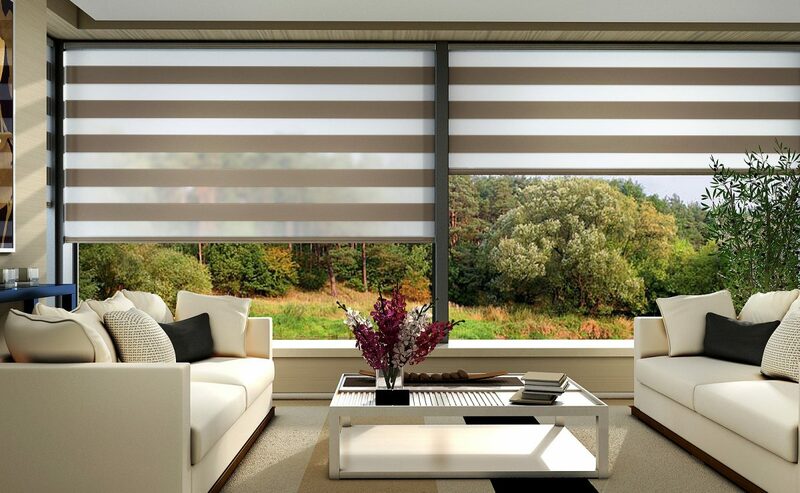 The cost will depend on the size of the blinds, and it’s not something that you can easily retrofit, so it’s worth planning this into your design at an early stage. There are battery operated versions which are less expensive and can be retrofitted at any time. Motorised roof lights are something that regularly gets cut out of projects to save cost. The extra for a mechanically operated Velux rooflight, for example, is approximately €350 so where there are multiple windows the cost can be significant. But if the windows are hard to access for instance in a landing space, it’s well worth considering. This might seem like a luxury but having a strong Wifi signal that is consistent throughout the house is becoming more and more critical. Everything from how we watch television to the way children do homework is growing increasingly dependent on Wifi. I’ve been in houses where the signal is only good in certain parts of the house making it difficult to work from home, for example. Again this is something that should be factored in at an early stage so that the wiring and kit is included in the electricians’ scope of work. 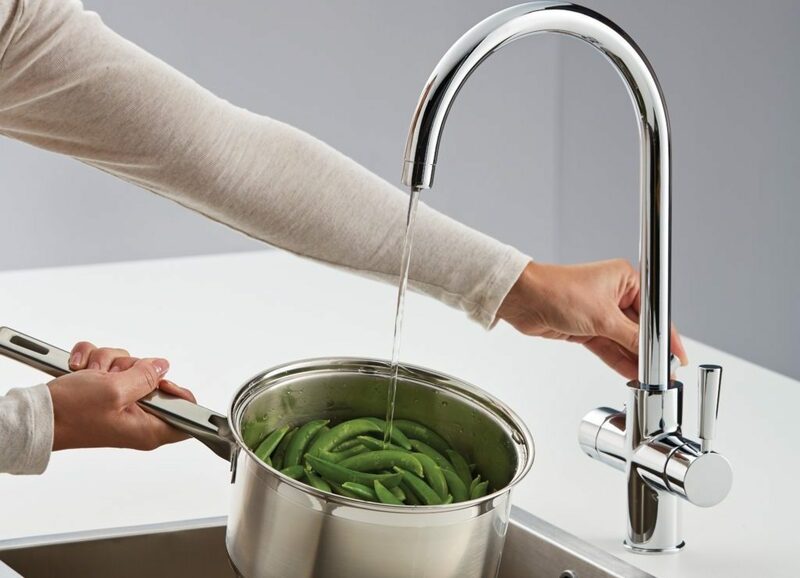 Not only will a boiling water tap save you space in your kitchen but it will also save on energy costs. Quooker claims that the cost of using its hot tap is one cent per litre delivered, or approximately three cents a day. The cost of boiling a full kettle (which typically holds 1.5 litres) is around 2.5cent per boil. This would suggest that a Quooker could save users a significant sum, particularly those who regularly boil their kettle. Having hot water on demand will also mean that you will waste less water. How many times do you empty out the kettle before you boil it? There are many brands on the market, and you should expect to spend between €900 – €1600 for a good model. This is worth considering and can be installed at any time. The trouble with tap water is that you simply don’t know what you are drinking. Chlorine at least has a smell, but there are a whole host of other substances like, fluoride, lead, as well as pesticides and herbicides not meant for human consumption that is not so easily detected. The price of a water filter varies a lot depending on the kind of system you choose. On average they start at about €200 plus installation. The filters will need to be changed about every six months, so it’s worth selecting a reputable brand to ensure that you will be able to keep getting replacement filters. It’s also worth noting that different water filters will remove different types of contamination. So if you are trying to eliminate something specific make sure you check to see that the filter you choose is right for your requirements. And for those interested in the boiling water tap you can get combined models offering boiling water and filtered drinking water too. If you like to cook, I’d highly recommend investing in one of these. I’ve purchased one myself recently and probably use it more than anything else in my kitchen. Virtually anything that can be cooked in a pot can be done in a steam oven. Everything can be prepared together eliminating the use of pots, making dinner time prep a much cleaner and less chaotic process. There are different versions available, plumbed versions where the water refills automatically and unplumbed where you will need to top up the water manually. I highly recommend the plumbed version for convenience, but again this does need a bit of planning to ensure that you have a water supply in the right location.